U.S. authorities are examining payments made by Nike Inc under a 1996 soccer sponsorship deal with Brazil for possible evidence of wrongdoing by the company or others, the Wall Street Journal reported on Friday, citing people familiar with the matter. Although Nike has not been named or charged with any wrongdoing yet, the company was swept into the corruption scandal that engulfed soccer's governing body FIFA when a U.S. indictment released last month described apparent kickback payments linked to a landmark 1996 Nike deal in Brazil. The U.S. indictment said that in the 1996 deal "Sportswear Company A" - apparently Nike - agreed to pay $40 million in "marketing fees" that were not in its initial contract with the CBF to the Swiss bank account of an affiliate of Brazilian sports marketing firm Traffic. New York FBI spokeswoman Kelly Langmesser declined to comment on the report. A spokeswoman for the U.S. Attorney's office in Brooklyn, New York, which is leading the investigation, did not immediately respond to a request for comment on Friday evening. Nike was not immediately available for comment. 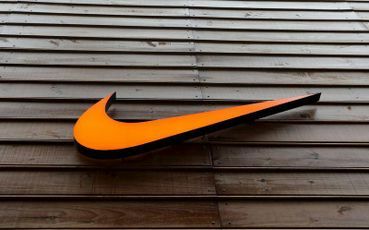 Nike, the world's largest footwear maker, said in May that charging documents regarding the FIFA bribery scandal do not allege the company is engaged in criminal conduct. In another statement at the time, it did not confirm or deny that it was the company in the indictment but said it was cooperating with authorities. Lot's of dirt will emerge! Noted. Thanks for the info, BMutiny. Where there's money and egoism, there's trouble. . .